Summary: Do your kids love butterfly? 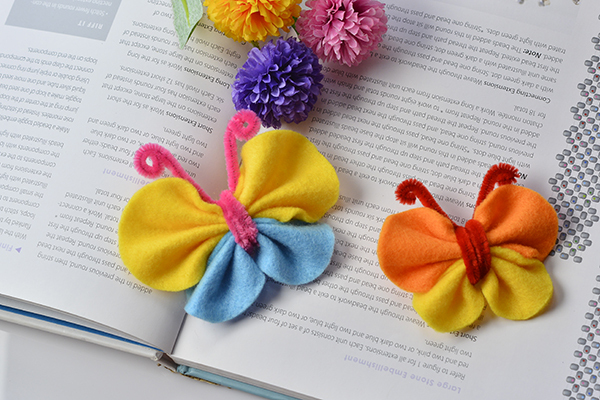 If yes, you could try this DIY hair ornament – lovely felt butterfly hair clip for kids. 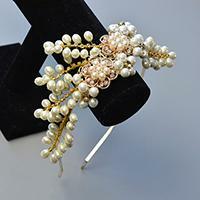 There are hundreds of hair ornaments designs on pandahall learning center website. 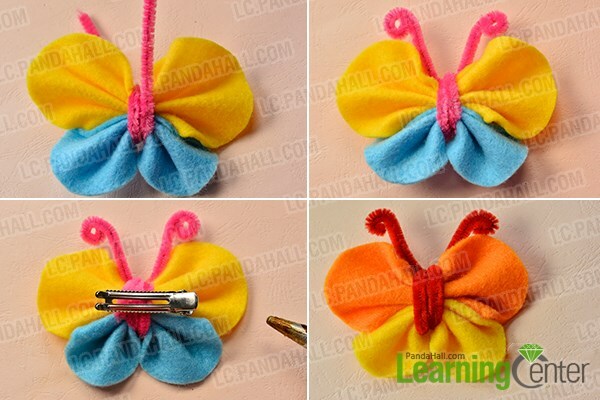 Today I will still show you an easy hair ornament for kids – lovely butterfly hair clip. 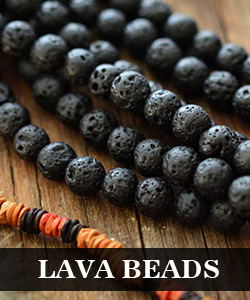 Follow me to have a try, and it won't take you much time! 2nd, sew the 2 pieces in straight line with a headpin as shown, making sure you've made curve waves for the wing pattern. 4th, glue an iron hair clip on the back of the butterfly. I made another butterfly hair clip in the same way. Lovely, aren't they? 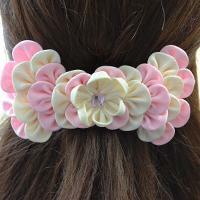 I finished 2 butterfly hair clips within 15 minutes! 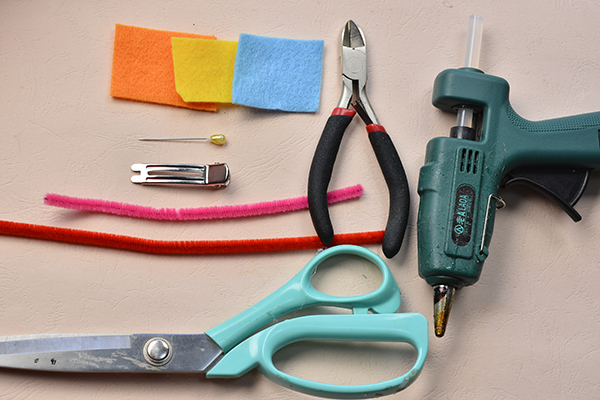 The supplies are really simple; you could even make one as long as you have felt paper and old hair clips. So good luck, make it a try! 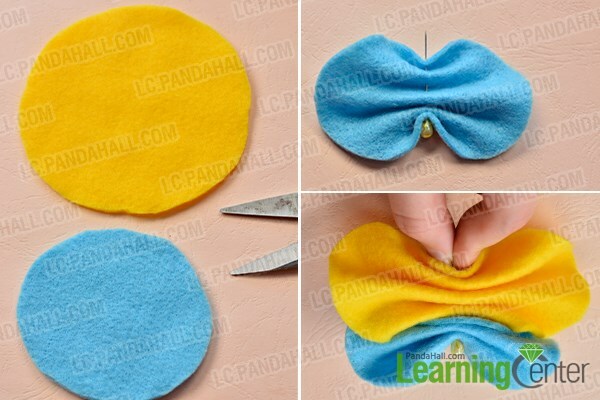 Please what size are the felt circles for making the clips?